Summer is here in our beautiful city of Vancouver. This is the time of year so many of us travel. Whether you are traveling locally or abroad, it is always important to think about your health and ways to stay healthy on your vacation. A few simple items packed into your suitcase can ensure you have the essentials to avoid getting sick on your holiday. 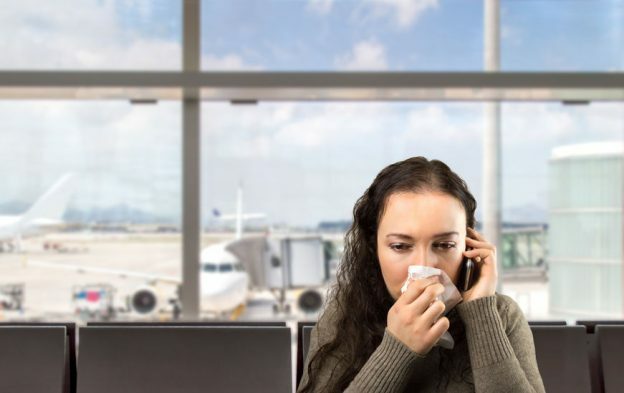 One of the biggest health concerns while travelling is infections. You may be in a country where your body is not used to the water or food and food-borne illnesses can ruin a great vacation! Here is my list of essential items I always pack as my travel medicine kit. My first essential is probiotics. 70% of our immune system resides in our digestive system. Good bacteria, or probiotics, are very important to our digestive and immune health. This is our first defense against food borne illness as well as viral infections (by supporting our immune health). Start taking your probiotic at least 2 weeks before you leave and during your vacation. My second essential is a natural botanical to treat mild bacterial infections. My favorite is oregano oil. This oil is a strong anti-bacterial and anti-fungal agent. I prefer to take capsules of oregano oil as it easier to travel with and I do feel they work better. They deliver the oregano oil right down to the lower GI tract to keep infections away. I specifically like a product called ADP-Oregano by Biotics Research, an emulsified delayed release oregano oil tablet. This is an optimal delivery system. My third essential is a natural first aid treatment. There are many options available including essential tea tree oil, aloe vera gel and arnica homeopathic. My favorite is colloidal silver first aid gel. The company I use is Argentyn 23. They have a great topical first aid gel that works very effectively against bug bites, cuts, wounds and itching after a bug bite. There are many great first aid treatments available at local health stores. I happen to really like the benefits I have seen of this particular first aid gel so I wanted to mention in this article. Although natural therapies can work very effectively against minor problems, it is important to be prepared in case a more severe infection occurs. 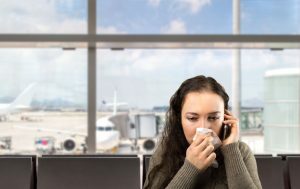 I do recommend carrying a topical antibiotic such as polysporin, an anti-histamine such as Benadryl, pain medications such as Tylenol or Advil, and a course of antibiotics in case of severe travelers diarrhea. You never know what you might contract while travelling and it is best to be prepared. These are my essential for a travel kit. I would also suggest some immune supportive vitamins such as vitamin C or vitamin A, especially if you are travelling abroad and really want extra support for your immune system. I also recommend an IV of vitamins and minerals that can work really well in boosting your energy, keeping your body healthy and hydrating you before a trip. Our Vitalia IV is a combination of vitamins and minerals administered intravenously that is specifically formulated for those travelling. Call us today to book your Vitalia IV before your trip. Remember your Naturopathic Doctor can make specific recommendations for your travel kit based on your particular health history. Your ND can also prescribe general medications such as antibiotics. You do need to see a travel medicine specialist if you need vaccinations or antibiotics specifically for the area you are travelling to including Africa, Asia and India. I hope you have found these travel tips helpful. I enjoy travelling and have found these key natural items to be very effective in keeping me healthy on my trip. Enjoy summer and stay healthy!